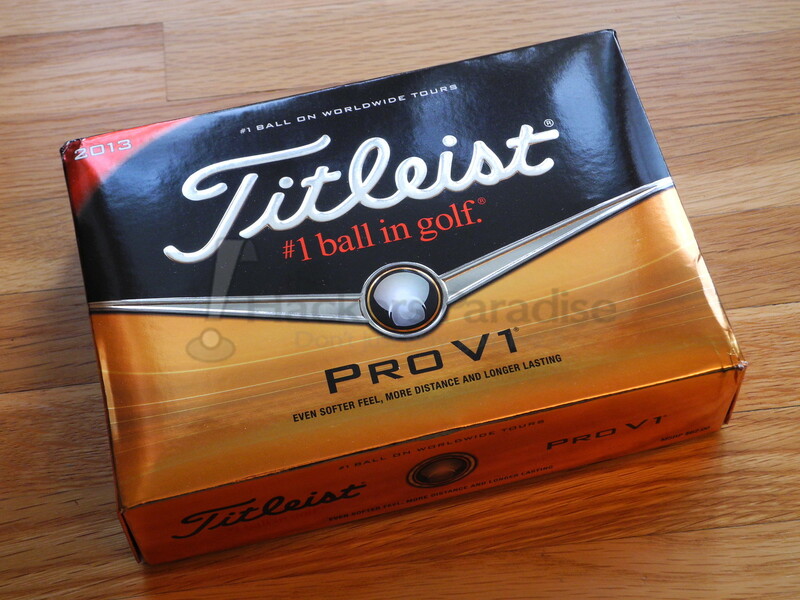 An industry leader in golf ball sales and innovation, Titleist recently announced the release of their new 2013 series of Pro V1 and Pro V1x golf balls. Pro V1 is easily the most recognizable name in the golf ball market and is marketed heavily by the legion of touring pros that play it. In addition to Tour feedback, Titleist has been sending samples from their new line to consumers and some have already shared their thoughts on the THP forum. I’ve also been testing both the Pro V1 and Pro V1x for the last few weeks, and will be sharing my thoughts in the review below. 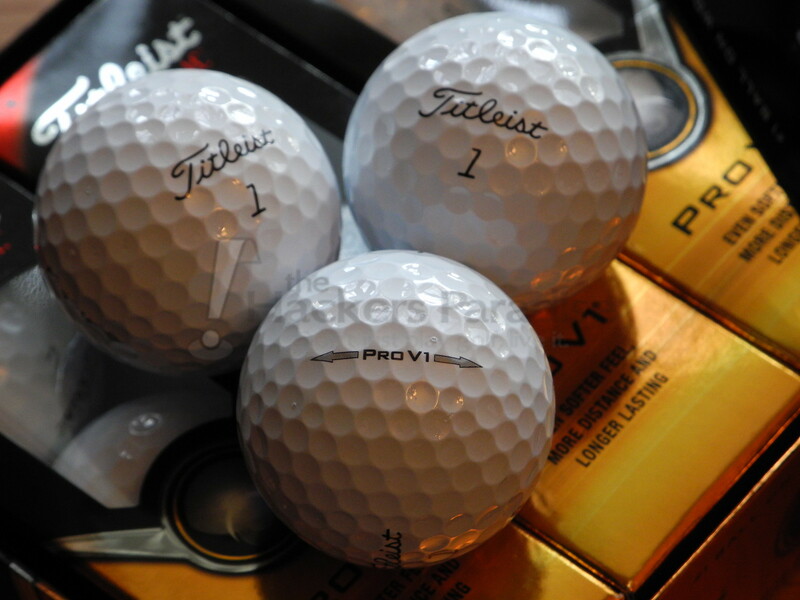 Titleist is pushing a few choice themes when it comes to the 2013 Pro V series – Softer, longer, and longer lasting. The Pro V1x, a four piece ball, is primarily marketed as the firmer feeling distance ball in the line, by virtue of lower driver spin and “a deep downrange peak trajectory.” At the same time, it’s designed to possess a similar level of greenside spin and the same improvements to cover durability. Both balls are a very bright white and have the expected soft-feeling, almost tacky cover that goes hand in hand with a premium Tour ball. Not highlighted by Titleist, but appreciated by this writer, were the newly designed alignment aids. Opposing gray arrows, rather than the black we saw in the 2011 line, surround the traditional lettering and were quite pleasing to the eye. While it’s a commonly marketed trait, feel is the most subjective of all qualities when it comes to golf equipment. As mentioned before, the new ZG core process is designed to have made the 2013 Pro V line softer than ever, but I don’t know that I can definitively judge that. Still, I did get a sense that both balls were pleasing to the ear on impact and not at all overly firm. The simplest test of that is through putting, where both the Pro V1 and Pro V1x provided the soft click that I’d expect from a urethane covered ball. Even in the colder temperatures I found myself testing in, both balls were pleasing to hit off of every club in my bag. Testing consisted of both on-course use and data collected from a Vector X launch monitor. For the purposes of comparison, my driver swing speed hovers around 100mph to slightly higher. I tend to sweep the ball, have a somewhat slow tempo, and produce lower spin rates with most clubs. Like most amateur golfers, I have a swing that performs well at times and not as well other times. Please keep that in mind while reviewing the figures below. This was the one element of performance that I didn’t test via launch monitor. Instead, I relied solely on testing at a local course. Both balls appeared to possess enough spin for me to produce some checking action with aggressive chip shots. I didn’t notice anything extraordinarily different among the two balls, or when comparing them to other urethane covered balls. I typically do not impart Tour level spin on greenside shots, but I did see enough that the ball slowed down after its initial impact with the green. My 100 yard shot is normally what I’d consider a 9 o’clock pitching wedge. On course, I saw a great level of stopping control with both the Pro V1 and Pro V1x with this shot. While I’m not a high spin player, I do look for this shot to hop and stop very quickly. One thing I did immediately notice was a generally higher trajectory (with both balls) when compared to the surlyn covered ball I often use. Launch monitor data showed that both balls performed similarly for me with this shot, with some exceptions. Most notable was a higher launch angle and greater spin rate from the Pro V1, while the Pro V1x tended to flight a bit lower. This leads me to believe it is the faster stopping of the two balls when it comes to partial swings with a wedge, though I didn’t see a big difference on the course. Both were fairly high flying and quick to stop. Here’s a picture showing results from this shot on the course (looking back towards the fairway). A common theme among both balls that I noticed with shots from a scoring iron was height. I hit some towering shots on the course with my 9 iron and launch data backed that up. Both balls provided acceptable stopping power here due to a high trajectory and decent spin rates. The Pro V1x did have a lower trajectory, but ball height was still quite high. Again, both balls performed similarly for me with a mid-iron. 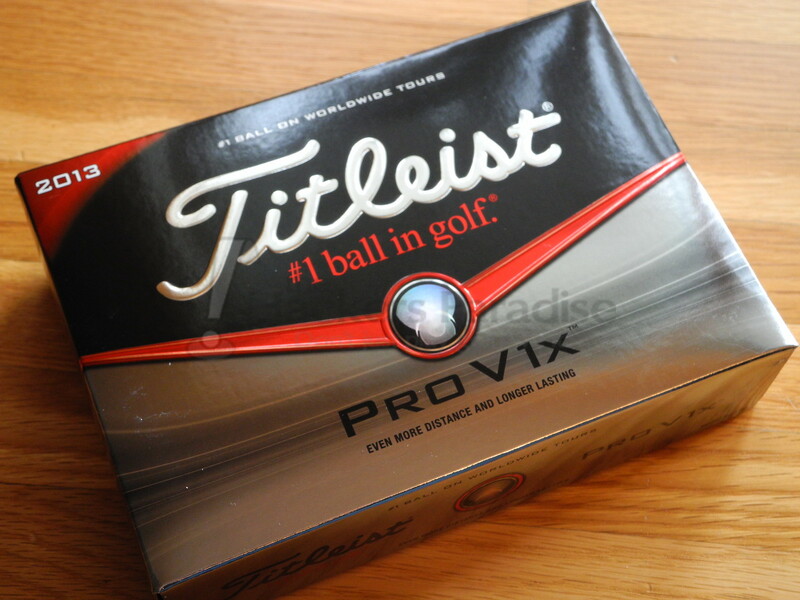 I saw a touch more carry with the Pro V1x, but for all intents and purposes, the balls behaved identically for me. I will say that I really liked what I saw from both balls here. They were great feeling and had exceptional distance. You may notice a fairly low spin rate in the table below, which is a common theme for me with any golf ball and a mid iron. With a hybrid in hand, I didn’t see a big enough difference between the two golf balls to lead me to believe one performed better than the other for my game. Both produced typical spin and launch rates that I expect to see from a hybrid and were similar in performance, both on course and on the launch monitor. Shots with the driver proved to show the greatest variance for me in launch monitor testing. While both balls were sufficiently long, the added launch and spin I saw from the Pro V1 produced a higher trajectory, and consequently, further carry distance. On course results didn’t reveal a great difference in total distance, but I did feel like I noticed a variation in ball height when comparing drives. On a personal level, the increased spin and launch from the Pro V1 was a benefit to me, though many may find a little lower launch and spin to better fit their needs off the tee. 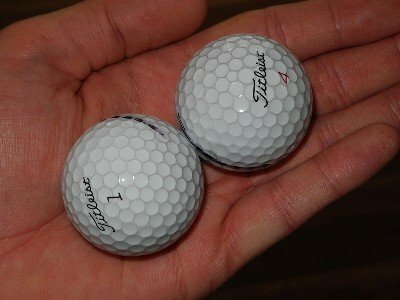 In short, I found both balls to perform in the manner that Titleist describes them. Both balls provided acceptable distance off the tee, but contrary to normal conventions, the Pro V1 proved to be the longer ball for my driver swing due to increased spin that I seem to need. In truth, both balls performed pretty equally for me through the rest of my bag, aside from a slightly higher spin rates from the Pro V1 in the scoring iron and wedge categories. My anecdotal statement regarding control (accuracy) is that I felt the Pro V1 was a little easier for me to keep in line on the course, though data doesn’t completely back that up. All things considered, I’d probably choose the Pro V1 among the two balls, but your results may vary due to any number of factors. 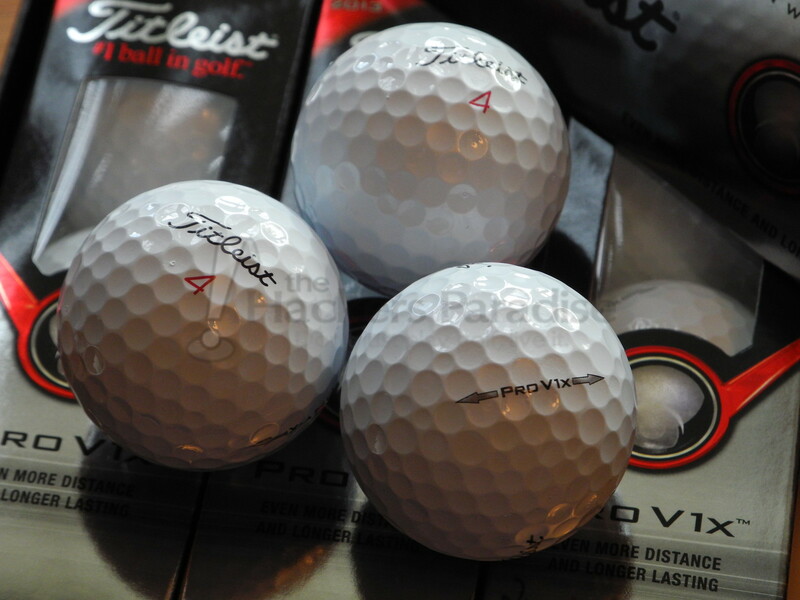 With both the Pro V1 and Pro V1x possessing soft urethane covers, they are bound to be less durable than the firmer covered balls that many golfers use. For example, when I hit a cart path I saw some gouging of the cover rather than a scuff, but that is a completely normal result for this type of ball. During indoor practice and launch monitor testing I used the same two balls (one of each type) for hundreds of full swings. Both balls handled this abuse with flying colors, as you can see below. The only thing I’ll add to that statement is that I’m typically not that hard on golf balls. For example, I rarely take chunks out of a ball with my wedges. Still, I think both balls showed great resiliency after repeated strikes over the course of a few weeks’ time. 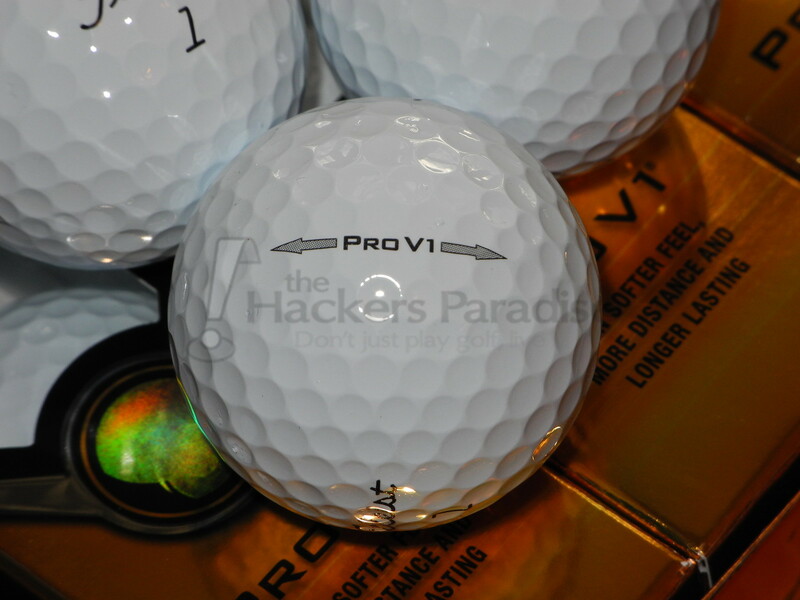 In short, I found plenty to be impressed about with both the 2013 Pro V1 and Pro V1x. They both offered a good combination of spin, distance, and durability. While one seemed to fit my needs better than the other, that’s merely a personal inclination that showed itself after a great deal of testing and analysis. I’d encourage you to find the ball that works best for your game in the same manner. Both balls from the 2013 Pro V series are now available with a MSRP of $62, though I’ve seen them selling about 20% cheaper than that at online retailers. You can get more information at Titleist’s website, www.titleist.com. Great job on this review Hawk! Ton of solid feedback via the numbers and it most definitely sounds like Titleist has 2 really good offerings this year. My only issue is the cost….just will never find myself spending $4 plus per golf ball. Well done Ryan, very insightful review. I played the ProV line for a good bit and its good to see them stay consistent. I never knew you were sneaky long, it’s nice to see that. The hybrid numbers you post, I assume the Prov1x was a slice off the tee with the side spin. If it had been straight I think it would shave been longer and more of a difference, do you agree? Ill have to give these a look see for myself. Pro V’s seem to still be Pro V’s! Solid Hawk. So many new golf balls out there now but I’m still fond of the Pro V when I see them in stores. It’s hard not to be. Proven over and over again to be a top ball in the market. Great review Ryan, I don’t use the Pro V1 line but everytime I have I’ve come away very impressed. I will definitely have to try out the 2013 line, but the prices are what really turn me off the most. Those are some really good launch numbers with the driver too buddy. So here’s the question of the day, will this replace your current gamer? Awesome review, man. Very thorough. The Prov1 produced some good numbers for you. Looks like great durability as well. Thanks! Very good and thorough write-up Hawk. Teh V1X has been my “go-to” ball now for a number of years. I like playing the V1 as well on occasion but I’m sticking with the V1X for now. Titleist has always put out great products and I’m sure they did some very good testing before they made a change. Nice job on the review, Hawk. It was carefully presented and written and there was some useful info in there. How many shots with each ball were used for each club in the simulator? Knowing the size of the sample would help. The way it’s presented reads like it was only 1 each, which I know was not the case, however given that, for example, you reported the V1 was 10 yards offline left and the V1x was 1 yard right, it’s either damning evidence that the V1 does not work for you with the D, or it indicates that data wasn’t based on many shots? I think you qualified your playing style and traits well, but it would be interesting to see how these balls stack up to what you play normally. Since you made a comparison to your normal ‘surlyn-covered’ ball into the conversation, including it in the data set would have been apt. 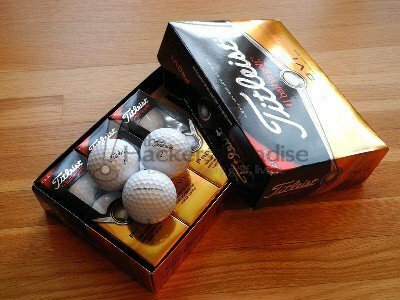 Also, Titleist claims these balls are “longer, softer, and more durable” than their predecessors and while the 2013 version is all that will be on the market (once old stock is sold through), I think a thorough review would also compare numbers btwn the new balls and the 2012 versions. It’s one thing for companies to make these claims, but we have no reason to believe or disbelieve them and that is another opportunity for a review to answer some questions for the reader. You addressed durability, not by quantitative comparison but with anecdotal evidence that was compelling, and softness as well (though again a comparison with the 2012 balls would be helpful) but length, spin, and dispersion results with more than just the 2 balls being tested would help a lot. Once again, fine job. Gear testing is hard (I test mountain bikes and gear) and all I mean to do with my feedback is contribute thoughts that would make this review even more thorough and valuable to future readers. Keep up the good work. I’ve used the Pro V1x for the last 7 years and love them. They are still in my opinion the best golf balls in golf. If the newer models are any sort of improvement then Titleist are on to another winner. Does compression matter or does it not? Is it not funny that Titleist seems to say that compression is irrelevant, yet they continue to modify the compression of their premier offering by making even softer. Confused? I am. I just can’t get over the price. I’ll stick with my usual strategy, use 1 proV per round, and if I lose it, out comes the Top Flite Gamer. Did you hit any with some spin milled wedges? I know I ruin a pro v1 in about 3 holes if I have to hit any type of full wedge shot. My question is whether the outside cover is more durable than previous years? Explain this to me you averaged 35 yard difference between your 9 iron and 7 iron ( two clubs). You averaged 18 yard difference between your 7 iron and 22* hybrid (basically a 3 iron, or 4 club difference). Don’t you think you gaps are screwed up? Played Pro V1x for some time. I quickly went through 2 dozen of the 2013 model so far. They do feel softer which is OK but I notice considerable less durability this year. Unlike previous years, my grooves make cuts in the cover on every well struck short iron shot and they gouge easily if they encounter rough ground. Instead of the 2013, I’m going to buy up closeouts of previous year models. This is a great review Thanks!!! I am far from a scratch golfer, but I definitely notice a difference between golf balls. I prefer the Pro V1 over any other ball including the Pro V1x. 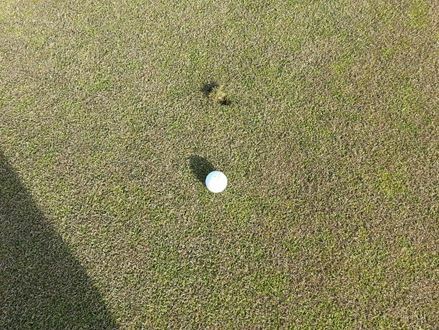 I find the Pro V1 travels just bit further and more predictable around the green. I’ve heard a lot of people say the ball makes no difference for high handicap golfers like myself, but I disagree find the game to be much more enjoyable when I use a Pro V1. I usually buy quality used balls. If you hit the ball straight and true then you will benefit from these balls. Spend the money on lessons and get your swing right. A hook is a hook and a slice is a slice, no matter what ball you hit. You feel the real benefits of these balls on approach shots, chips and putts for sure. Even for a high handicapper, you will only get better if you can stop the ball on the greens, but practice pays a part here too. They are worth the money, but until you can consistently keep your ball in play, use a cheaper ball and when you find the odd ProV in the bushes, have a hit with it and you’ll notice the difference. Nice review. IMO, it’s almost a mute point for the average golfer to analyze, and plan their attack on the course by buying anything in the pro v family. The average male golfer only hits it what…225-230? Plus, the average male golfer can’t even break 100 if they actually keep score correctly, which most don’t. So, they are just kidding themselves, and spending more $ than they should on balls by whipping out $48+ for a dozen balls that they are most likely gonna lose anyway. But, keep buying them because yours truly appreciates all the $ I save by finding literally dozens of only hit once pro v’s just laying out in the desert in the bushes. I don’t even buy balls. When out playing with my wife, it’s amazing how many pro v’s I find in the desert very near the ladies tees. Which means they only hit it about 50 yards! Buy the NXT balls guys. You’ll save $, and you’ll hit them farther anyway! But, if you insist on keeping this scratch players bag full of once hit pro v’s……. ” because the calories are far below the American College of Sports Medicine’s (ACSM) recommended daily caloric intake of 1,200 calories for women, and 1,800 calories for men. *It is just as effective (and not as painful) as injections. In addition bit of apple cider vinegar can be taken to serve as a supplement on daily bases. You could take it through injections, drops, and pellets. It might be emotionally devastating to be too heavy and to be undergo the depressed feeling that goes along with being large and unhealthy. Hi, I do think this is a great blog. I stumbledupon itt 😉 I may revisit once agan since i have saved as a favorite it. you bbe rich and continue too guide others.